Westerville, OH, June 09, 2017...Also at the June 9 events, The Woda Group, Inc. shared details about Tristan Ridge, a new 44-unit affordable senior rental community in Eminence that is set for completion during the fall of 2017. 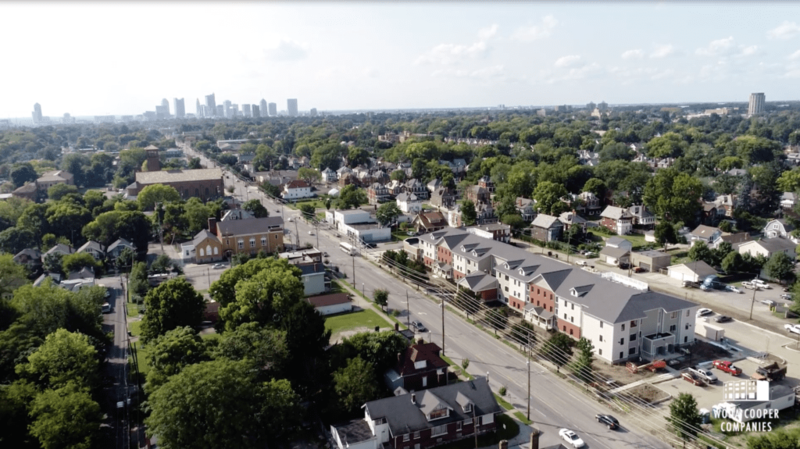 Woda is partnering with Parallel Housing, Inc to develop Tristan Ridge, which will feature 16 one-bedroom units and 28 two-bedroom units in a two-story building with an elevator. The building and units at Tristan Ridge are designed and built with the latest green construction methods for optimal energy efficiency for residents. The open concept apartments include window blinds throughout; overhead light fixtures; cable and washer/dryer hook-ups and energy-saving microwaves, dishwashers, refrigerators and stoves. Each unit will have its own central heating and cooling system and energy efficient windows, plus extra storage space located within the building. The development will also have a community room with kitchenette, an exercise room, craft room, laundry facilities and a garden area. “The town of Eminence has seen an increase of economic growth in recent years but has lacked the availability of affordable housing, especially for the senior population, says Tammy Stansbury, Woda’s Vice President for Development and development lead for Kentuckty. “Tristan Ridge will offer safe and secure homes affordable for seniors on fixed incomes,” Stansbury said. Financing for the $6.9 million development was supported by $525,000 in federal housing tax credits allocated by the Kentucky Housing Corporation. Primary investors for the additional financing include City Real Estate Advisors (CREA) and RiverHills Bank.